T-Mobile US and Sprint have revived discussions of a potential merger between the two mobile carriers, according to Bloomberg. After their first attempt at a deal fell apart under the Obama administration and Tom Wheeler’s FCC, the two sides have been unable to hold talks for an extended period of time because of the recent spectrum auction, which T-Mobile dominated. But the quiet period concluded on April 27th, leaving Deutsche Telekom and SoftBank — the respective parent companies of T-Mobile and Sprint — free to once again negotiate and hammer out terms. Today’s report says the two are having “preliminary” and “informal” conversations about a merger. Sprint executives also think it’s within the realm of possibility for the fourth-place US carrier to be acquired by a cable company. But a recent pact between Comcast and Charter might make that possibility less likely. A combined T-Mobile and Sprint remains the most obvious path to consolidation in the wireless industry and would reduce the number of major providers from four down to three. T-Mobile CEO John Legere insults Sprint’s financial performance at CES 2017. 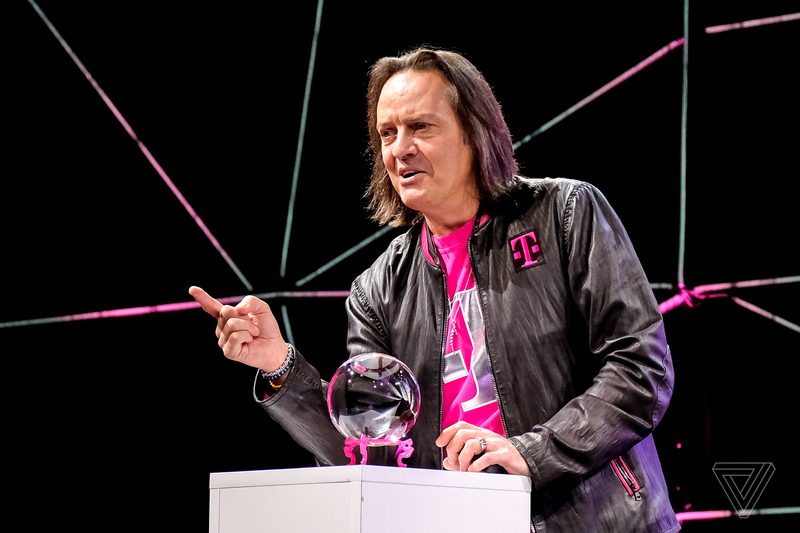 T-Mobile CEO John Legere has regularly hinted at a coming together of the two competitors. In January, he told a crowd of reporters at CES that a merger was one “potential outcome” of President Trump’s election. More recently in an interview with Bloomberg TV, he again seemed to be on board with the idea. “You’ve got three or four people who have admitted they need to do something,” Legere said, mentioning Sprint, Dish, and Comcast by name. “We have the opportunity to continue to grow. But we also, on behalf of our customers and shareholders, will interested in looking at the opportunities that we might further accelerate that growth and serve customers better.” Legere has previously suggested such a deal would have better odds of approval under President Trump. Joining with another “wireless player” would help T-Mobile “get scale and bring competition even greater,” he said in the TV interview. By competition, he’s talking about forming a business that’s closer to AT&T and Verizon in size and subscriber count. Like Sprint, Legere also envisions other scenarios like T-Mobile getting scooped up by a cable operator. At CES, Legere predicted consolidation would occur in the wireless industry this year. But if things move forward with Sprint, one key question is who would lead that company. 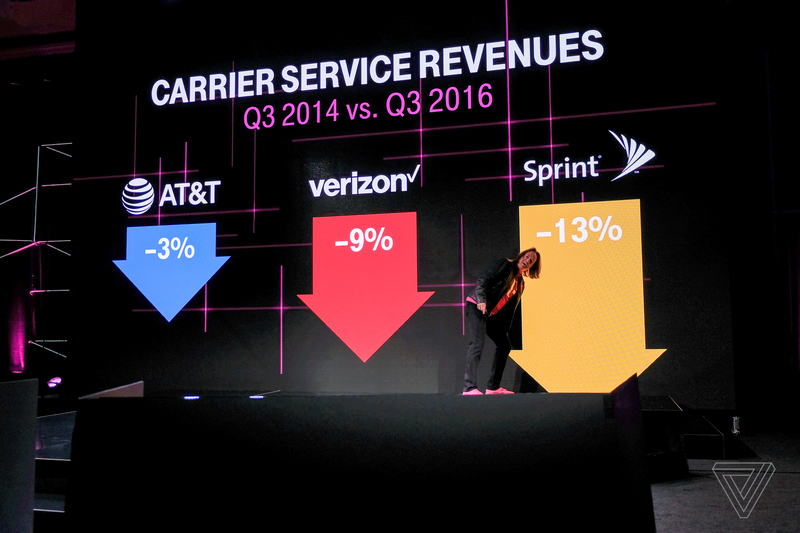 Sprint has fallen to last place among the big carriers and is regularly ridiculed by Legere. Sunsetting that brand and betting all the chips on T-Mobile’s “Uncarrier” movement might make the most sense. That decision will fall to Deutsche Telekom and SoftBank. In the meantime, both T-Mobile and Sprint have already pledged to build out 5G networks across the United States; Sprint says it’ll happen by late 2019, and T-Mobile has promised to launch within three years.